Usually after a long break or busy summer a lot of people will want to give the carpets a good steam clean due to the high foot traffic that has been in and out of the home and also to remove dust and any other possible allergens that may be lurking within the carpeting or rugs. In this article I’ll show you how to go about steam cleaning your carpets, rugs, and upholstery. This is especially useful for people living around Frankston, Sorrento, Portsea, Rosebud, Dromana and the entire Mornington Peninsula and looking for a professional carpet cleaning service. Firstly you need to pick a time when most people are out of the house. It’s always best to stay clean carpets in the morning, as this will allow maximum dry time during the day. It’s good if you have kids to go around and pick up any toys (or make them do it) which are laying around on the floors. Move all the small furniture to a place that is out of the way such as a laundry or outdoor area. Another important point to remember when it comes to removing furniture is that the more areas that you can get to i.e. the high traffic areas, the cleaner your carpets will be at the end of the job. If you’re vacating the property for end of lease carpet cleaning then you won’t need to do much at all, apart from giving the home a good vacuum and making sure your utilities are connected. If you’re going to steam the carpets yourself its best to aim the PH to be around the 10 or even less mark as this won’t affect the carpet in any negative way. Having the PH to high can cause problems with yellowing or browning due to too much product in the carpets. This can cause cellulose browning or yellowing. If you’re hiring a professional carpet cleaning service make sure you give the carpet cleaner clear passage to water access, preferably the laundry as this will be outro if the way and make sure there will be the least amount of disruptions when it comes to a busy household. Most machines that you hire will not give off that much pressure and suction so be advised there will be quite a lot of water that you will need to remove and you may need to do a number of passes to insure that the carpet is relatively dry and you have extracted the most amount of cleaning detergent and moisture out of your carpets. The last this you want is too much water being left in the carpets too long causing problems like mould, mildew and water marks. They are experts in cleaning carpets which means that you don’t have to worry about things like over wetting which can cause a lot of problems mentioned earlier. After the cleaning process has been completed by the carpet cleaning company make sure you open up all the windows if it’s a nice day or alternatively, turn on the air conditioner or fans. This will create plenty of the much needed airflow which speeds up the drying process. Be very careful not to put furniture back on damp carpet as this can cause staining due to the tannin from the wood leaching onto your carpets. I always suggest at least 24 hours before you start to move furniture back into their rightful place. Once the carpet is dry make sure you give them a good vacuum to bring the pile up and back into place which can sometimes look a bit odd after steam cleaning. If you want to decide on whether dry cleaning or steam cleaning is good for you check out this video below and you be the judge. Dilute ¼ teaspoon of oil of cloves with one litre of water. Put it into a spray bottle for easy use. Most people spray the affected area and wait 24hours before washing off. For cleaning the bathroom ceiling which is generally the most affected areas to clean during an end of lease clean, spray the roof of the bathroom and leave overnight. Then grab yourself a sponge mop and a clean bucket of water. I usually use a bit of sugar soap in the bucket of water then dip the mop, wring it out and wipe the affected areas and continue to wash and rinse the mop as you go. The good thing about this method with the sponge mop is the sponge wont damage the paint on the ceiling. Real estate agents and landlord can sometimes come down hard on tenants if they do routine inspections and see mould growing on the ceiling of your bathroom. Most tenants unfortunately leave this problem for far too long as rely on end of lease cleaners to kill the mould during the end of lease cleaning process. This is not recommended as this is not only bad for your health but not good in the eyes of the managing agent. 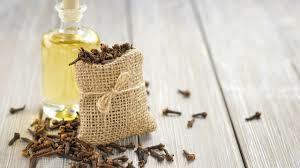 You can buy clove oil at most places that sell natural essences. Most people purchase their clove oil from essential oils and incense shops. It’s relatively cheap considering its powerful cleaning properties. Remember, the above method is the best solution without having to use toxic chemicals when end of lease cleaning. You may want to head down the eco friendly path for a number of reasons. Bleach may cause headaches and that is generally the first chemical which most people reach for in order to get rid of their mould problem but like I said, this doesn’t kill the mould. Before all the hype and marketing of cleaning products was around there was the good old fashion home cleaning products. You know the homemade cleaning products our grandparents and great grandparents used. Most companies have started referring back to these homemade whiz products as for one they are cheap and secondly non-toxic. With so many chemicals on the market these days it’s no wonder why every second person is getting sick. It’s in our foods more than ever and of course it’s in our cleaning products. Who really know what all these chemicals are doing to our bodies. You can still get good if not better results from using homemade cleaning products according to cleaning services Melbourne. With so many recipes on-line these days you be mad not give it a try. More often than not, you’re going to find that most of the products are sitting somewhere in your pantry cupboard anyway. A friend of mine puts vinegar in his dishwasher to give the dishwasher a flush every week or so. He swears by it and or course it’s the non-toxic solution. Heck, vinegar’s been around for a long time and I still know people who mop their floors with it. Toothpaste has lots of really good uses including cleaning walls. You can use toothpaste on a damp cloth to remove finger marks, crayon and scuff marks. I know it sounds crazy using toothpaste but there are so many products that you’ll find in your own home that can be used for cleaning. You can even use it on carpets to remove most stains. A lot of cleaning services in Melbourne opting for the more Eco friendly way of cleaning as it’s cheap and doesn’t harm the environment. 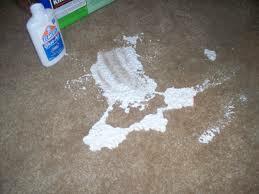 Use the same method discussed above and grab yourself a damp cloth and work the toothpaste into the carpet stain. You’ll be very surprised how well this works. Just be mindful that sometimes it can make the spot where you’ve been cleaning seem a lot cleaner than the rest of the carpet so having the carpets steam cleaned afterwards or at least on a regular basis will help. If you’re carpet cleaning I would suggest using a professional carpet cleaning company as you don’t want to damage the carpets. You can clean silverware with toothpaste also. Use either a light scouring pad or cloth and work the toothpaste into your silverware. Once you’re done, give it a rinse and polish clean with a microfiber cloth. I’m sure you know a few good hints and tips passed down from your family so give them a try. With all the different types of glues on the market first and foremost I would recommend contacting the manufacturer to see what they would recommend on ‘how to remove’ their type of glue and recommendations on stain removal. If you’ve got glue on your sofa you will first want to scrape of the excess glue using either a plastic scraper or even a butter knife. You can then use a sponge and some dish-washing liquid and start working y our way into the stain in a circular motion. Have a cloth handy so you can wipe away any excess foam or soap and repeat the process. With carpets you follow the same methods as above to an extent. Scrape off any excess glue, sponge some dish washing liquid and foam up the area. Dab a cloth to remove as much of the detergent as possible and repeat until the stain looks like it’s gone. 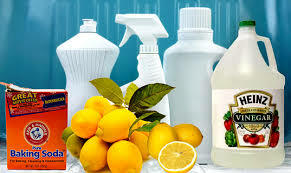 Most companies recommend using a little bit of ammonia with a couple of cups of water and sponge for stubborn stains. Sponge water on the area (to rinse) and blot dry with a cloth or towel. With clothes you can spray with a reputable stain remover and wash in the washing machine on the hottest possible setting. This should remove the stain and glue. If the glue has gone hard as you failed to get to it on time you can always rub some hand cleaner or petroleum jelly into the stain then place either a hot towel or paper towels soaked in hot/warm water on top of the stain and leave for an hour or two. This should soften the glue making it easier for you to repeat the processes above. Good luck!